On October 31st, health officials announced that Chipotle restaurants in Washington and Oregon had closed after consumers were exposed to E. coli. At least 43 restaurants were closed in both Washington and Oregon states after health officials linked the E. coli incidents to the chain. Dozens of consumers have fallen ill and many were hospitalized. If you or a loved one has fallen ill due to the Chipotle E. Coli outbreak you may be entitled to compensation. At least 43 restaurants were closed in both Washington and Oregon states after health officials linked the E. coli incidents to the chain. Dozens of consumers have fallen ill and many were hospitalized. The foodborne illness could expose consumers with weakened immune systems to life-threatening risks. 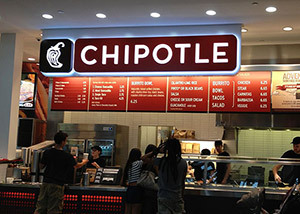 The Bernard Law Group is ready to help consumers who were exposed to E. coli after visiting Chipotle restaurants in Washington. Our attorneys are ready to offer our experience to those whose health was severely impacted by a negligent restaurant chain. Chipotle has been associated with at least three major food poisoning outbreaks across the United States this year alone. Those who fell ill because of Chipotle’s negligence should not be left to deal with the consequences of the outbreak on their own. Family members who are concerned about the health of their loved ones are urged to avoid ignoring the incident as well. If your health or the health of a loved one was severely impacted and the medical bills are piling up, contact us at 1-800-418-8282 for a free evaluation of your case. As health officials investigate the root of the E. coli outbreak linked to Chipotle restaurants in Washington and Oregon states, consumers who are experiencing the symptoms should rush to a hospital. 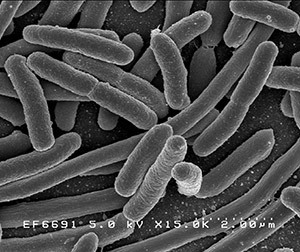 Mention that you may have been exposed to E. coli after visiting a Chipotle restaurant in Washington between October 14 and 23. If it’s confirmed you were exposed to the organism in the period mentioned previously, you shouldn’t be forced to handle the consequences of the outbreak on your own. As the medical bills pile up and you miss work days because of your illness, contacting an attorney who is experienced in handling food poisoning cases could help. If you or a loved one has suffered any of the following please contact us right away.